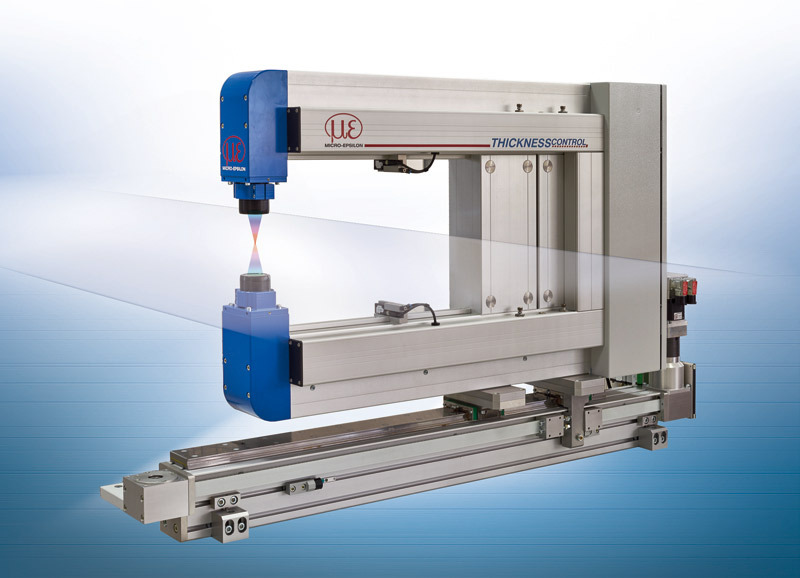 With the thicknessCONTROL UTS 8X02.K, Micro-Epsilon has launched a C-frame shaped thickness measurement system based on the confocal measuring principle for the first time. It solves new measurement tasks in the plastics industry which have not been practicable using the previous systems. It demonstrates its strengths particularly on transparent and semi-transparent strip materials. 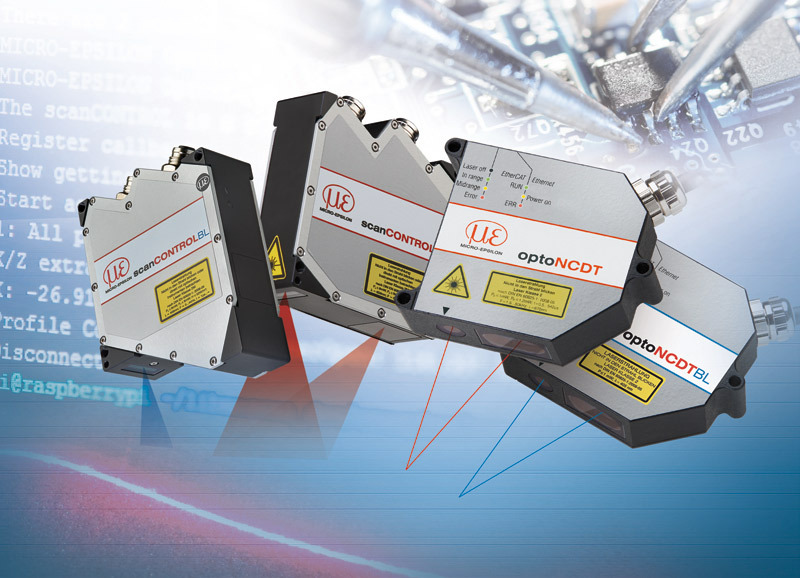 reflectCONTROL Automation is designed specifically to meet the increasing quality requirements in production and reliably detects smallest defects on shiny surfaces. It is used for high speed inspection of shiny and painted parts, e.g. car interior parts. 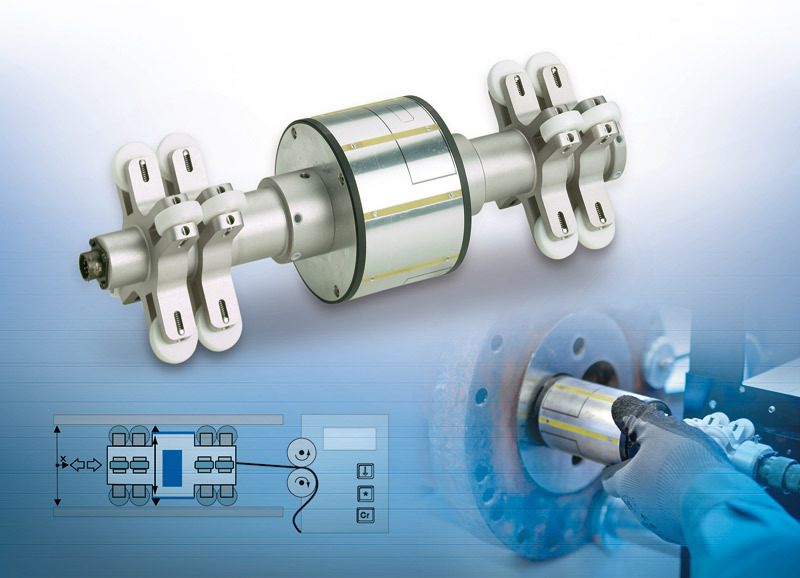 The sensor is mounted on a robot and is therefore also able to inspect parts with complex geometries. 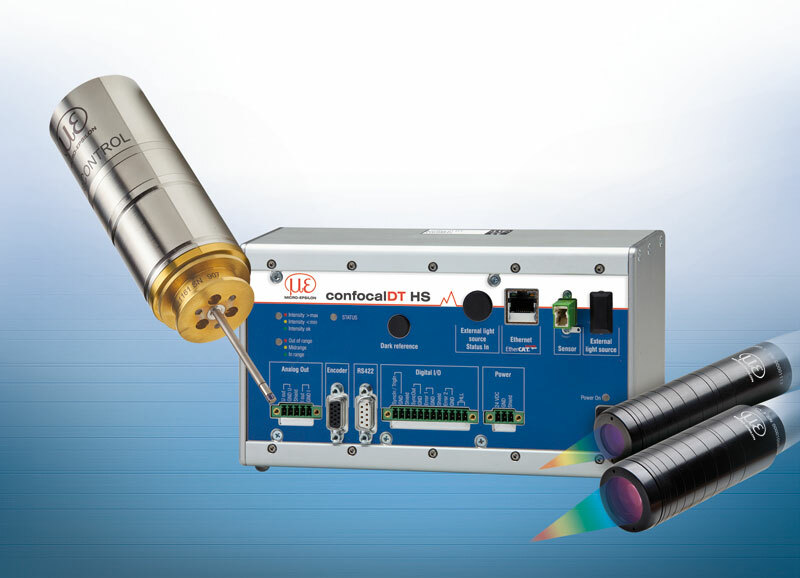 The idiamCONTROL sensor unit optimizes the maintenance of extruders by reliably detecting wear of housing bores. This non-contact method of inspection uses capacitive sensors that are arranged opposite to one another. The colorCONTROL ACS7000 inline color measurement system is used in many different fields, amongst others for demanding measurement tasks in the plastics industry. 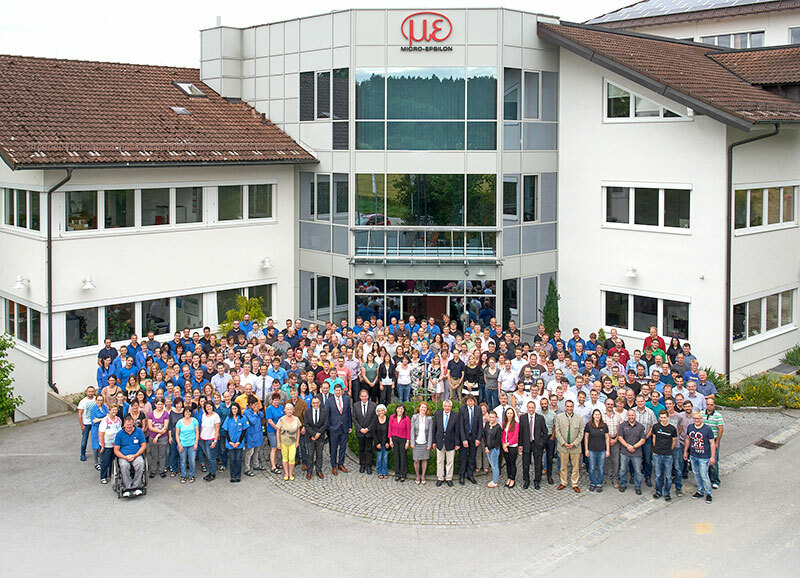 The system is considered to be one of the most precise inline color measurement systems in the world. Different sensor models are available to suit various measurement tasks in the plastics industry, e.g. for structured surfaces and transparent film. Due to the confocal chromatic measuring principle, displacements, distances and thickness can be measured rapidly with high precision on diffuse as well as reflecting surfaces. 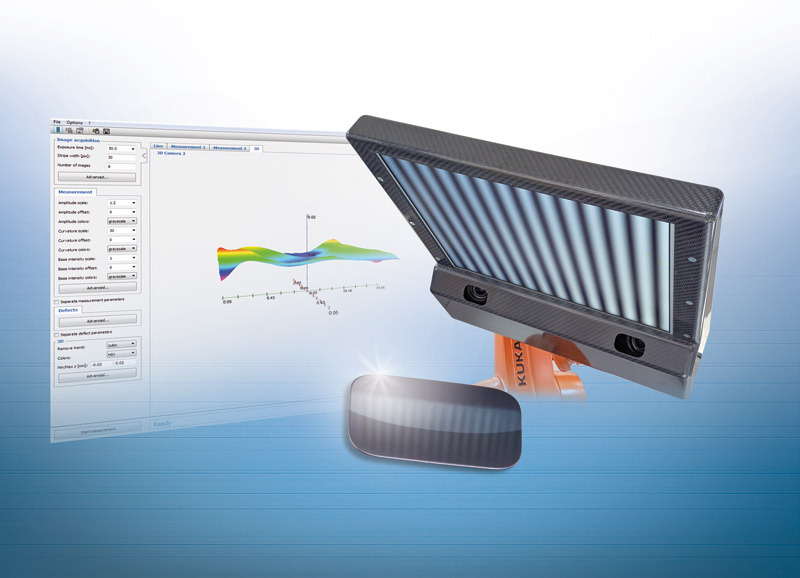 Micro-Epsilon presents the worldwide fastest confocal chromatic controller for dynamic monitoring tasks. Particularly in automotive production, perfect surfaces - whether matt or shiny - are imperative. Even the smallest of defects must be recognized reliably. 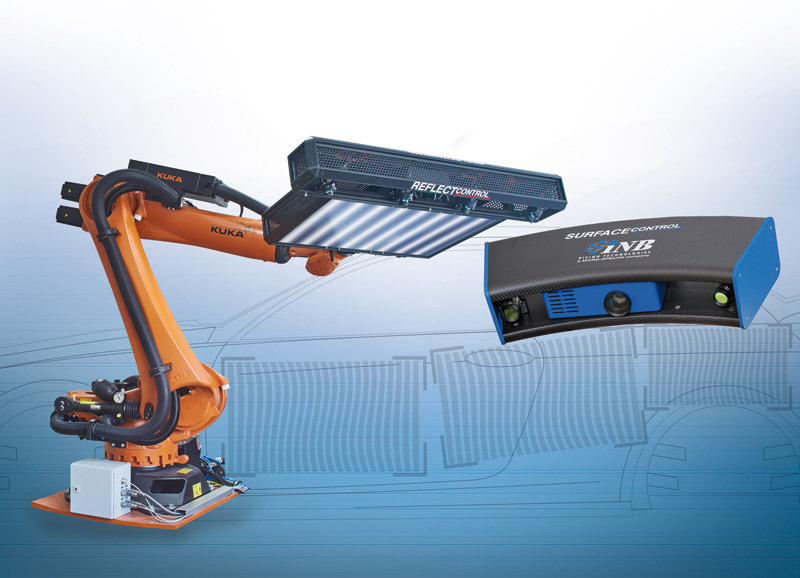 With the reflectCONTROL Automation surface inspection system, Micro-Epsilon offers a fast, safe and reliable defect detection system for all surface types and covers therefore the entire production process from a single component to a ready-painted vehicle. 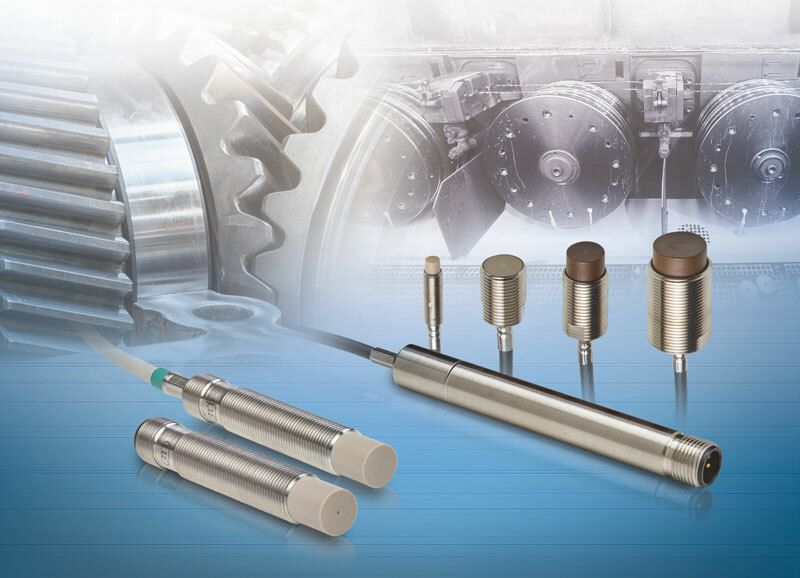 Eddy current displacement sensors occupy a unique position amongst inductive measuring methods and combine several advantages. They can be individually adapted to different requirements and measure wear-free and non-contact with highest precision and resolution. 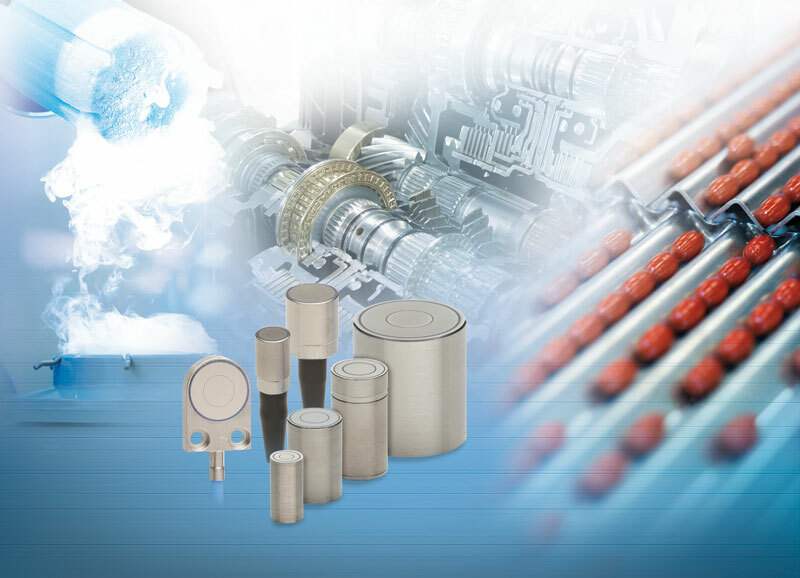 They are resistant to external influences such as dirt, pressure and fluctuating temperatures and therefore ideally suitable for harsh industrial environments. 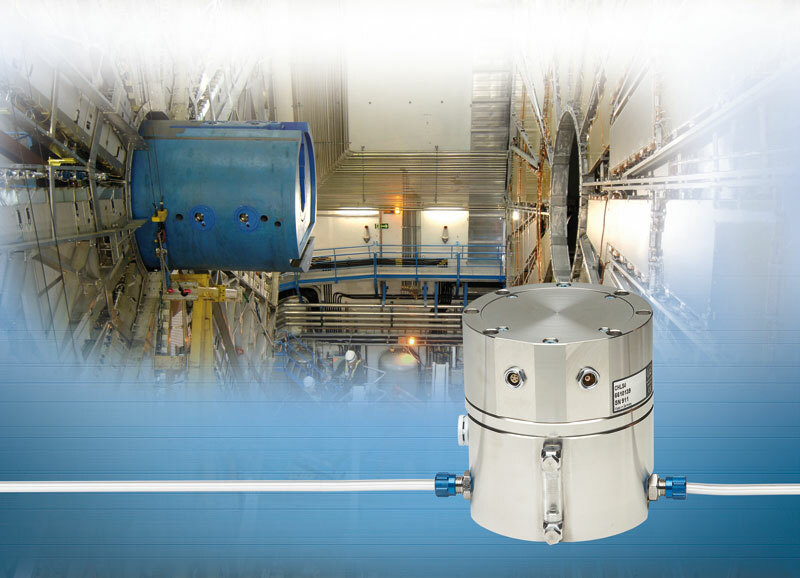 The CHLS4 capacitive Hydrostatic Leveling System from Micro-Epsilon is a high precision measurement system that is, amongst others, used in particle accelerators. The system is based on the well-known water level principle, acting as height change control in the underground pipe system, whereby the smallest height changes due to a correlating water level are detected immediately and reliably down to submicrometer accuracies. 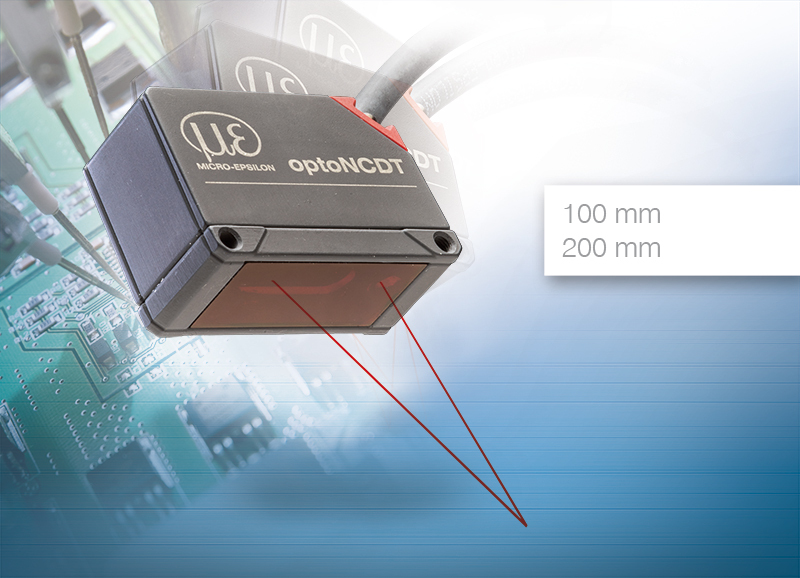 The new optoNCDT 1320 and 1420 laser triangulation sensors from Micro-Epsilon are now even more versatile. 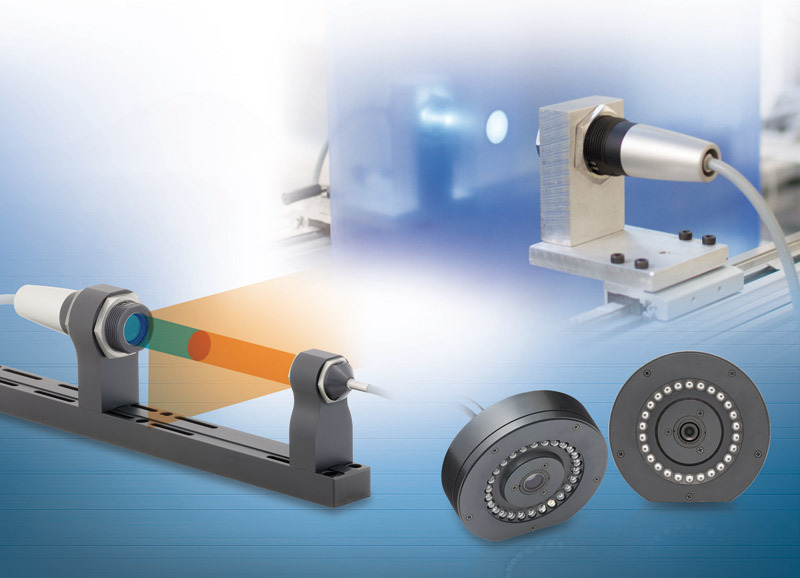 Additional measuring ranges of 100mm and 200mm enable even more application possibilities in terms of displacement, distance and position measurement.